So the last few posts have been about work and school so we wanted to share some tips on vacations. We love seeing all of your vacation countdowns on social media. So we wanted to share with you how you can have a fabulous vacation trip via the app. Once you get your friends together and find out a date you all agree on then, you can add those all important dates to the app. Share the event code and don’t forget to make the event public so everyone can countdown with you. If you are going on several vacations then don’t forget to personalise the countdown with the selection of great images from our image packs. We have a few vacation inspired images to choose from. You could also add your own images or images from Facebook. 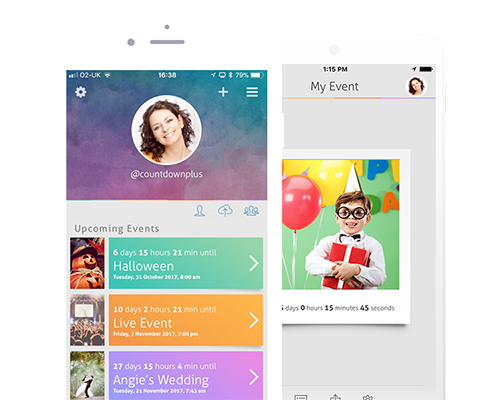 Once you have all the dates sorted and you finish personalising the event then you should start to share the event on social media which as mentioned a lot of our users do. Twitter we don’t see enough holiday countdowns so do get Sharing via the share buttons on the app. Then a sad feeling of knowing the event is over is not a nice feeling, but you can keep the old events to see how long since an event. This should then spur you on to actually add some new holiday events to the app. The repeat from the top.